What to eat, drink, see, and do at Disney World's Epcot theme park. 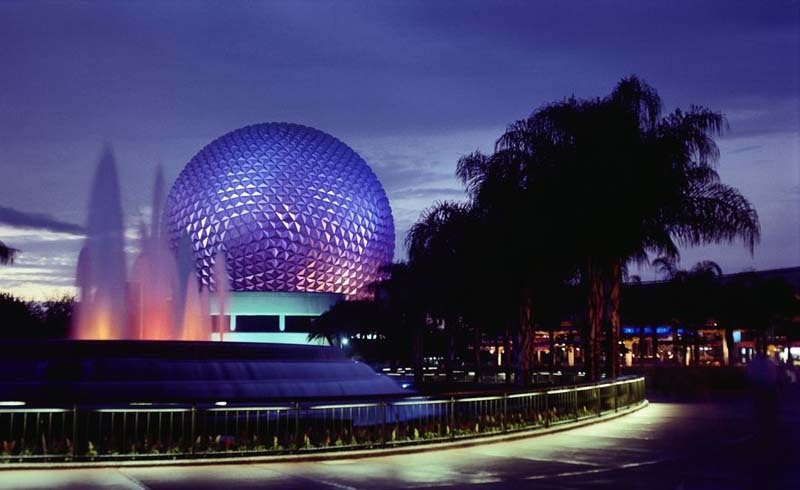 Walt Disney World’s futuristic Epcot theme park began less as an entertainment location and more as a utopian society. The Experimental Prototype Community of Tomorrow, as originally dreamt up by Walt Disney himself, transformed into a World’s Fair-inspired park with an emphasis on science, technology, and the arts by the time it opened in 1982. There is no dome over Epcot, nor do people live there as intended, but Epcot remains an iconic Disney World park, particularly for its geodesic sphere and, of course, the Walt Disney World Monorail. Children of all ages can find something to enjoy at Epcot — remember: children under 3 can enter for free and do not need Epcot tickets — but with its plentiful bars, entertainment, and festivals, adults will find World Showcase especially appealing. Summertime and holidays are peak season at Disney World parks, as are holidays, but Epcot Center does draw crowds for its seasonal festivals. Epcot International Flower & Garden Festival and Epcot International Food & Wine Festival draw crowds in spring and fall, particularly on weekends. Always be sure to double-check your travel dates with on-site events. Standard vehicle parking costs $25 per day at Epcot, while preferred parking costs $50. Epcot offers a tram within the parking lot to ease longer walks to and from the entrance. The main parking lot is also where buses from Disney hotels, hotels outside of Walt Disney World, taxis, and ride-share services like Uber, Lyft, and Minnie Vans pick up and drop off guests. There is monorail service to and from Epcot. The Walt Disney World Monorail connects Epcot to the Ticket and Transportation Center, where the Magic Kingdom parking lot is located. To reach Magic Kingdom or nearby hotels on the monorail, guests will need to exit and board a separate Disney monorail tram. Epcot is the only Walt Disney World park with two entrances. Ride-share vehicles, Minnie Vans, Disney buses, non-Disney buses, and the Disney Monorail all drop guests off at the main entrance near Future World, but World Showcase has an International Gateway second entrance, which can be reached by the Disney Skyliner gondola system when it opens in 2019. Because of this unique feature, guests at Disney’s BoardWalk Inn, Disney’s Beach Club Resort, Disney’s Yacht Club Resort, and the Walt Disney World Swan and Dolphin Hotels can easily walk or take a short boat ride directly to the World Showcase. Guests should take note that Future World and World Showcase — the two unofficial sides of Walt Disney World’s Epcot — have different hours. Epcot’s World Showcase opens a few locations earlier in the morning, generally at 9 a.m., and opens completely at 11 a.m. Be sure to check Disney Epcot hours before traveling, as they change daily. Guests staying at Walt Disney World hotels can utilize Extra Magic Hours, which allow for up to two extra hours in a Walt Disney World park each day. Select hotels including Four Seasons Resort Orlando at Walt Disney World Resort, Walt Disney World Swan and Dolphin Hotels, and Disney Springs Resort Area Hotels also offer Extra Magic Hours benefits. Walt Disney World sells individual park tickets and “park-hopper” tickets, which allow guests to go between all four Florida Disney parks for one price. Most families can experience Epcot restaurants and rides in one full day, but adults who are interested in dining or seasonal festivals will want to return more than once. If so, purchasing park-hopper tickets would be an ideal choice. Walt Disney World tickets are now dynamically priced. This means Disney Epcot tickets cost more or less, depending on when you visit. Be sure to purchase tickets early — admission purchased in-person at Epcot can cost more — and visit the Walt Disney World website for occasional promotions and discounts. FastPass+ comes with all Disney tickets and can be scheduled at least 30 days prior to arrival — 60, if you stay in a Walt Disney World resort or hotel with Extra Magic Hour benefits. FastPass+ lets guests “skip the line” during an hour-long return window on three attractions each day, and because of this, you’ll want to plan ahead. FastPass+ for Epcot rides are offered in two “tiers.” Guests can choose one attraction from the first group, and two attractions from the second group. Sign up for My Disney Experience to schedule FastPass+ experiences in advance. There are plenty of family-friendly favorites in both Future World and World Showcase. Epcot rides that will please all ages include Soarin’ Around the World and Spaceship Earth, and slower rides, like Living With the Land and Journey into Imagination with Figment can provide an air-conditioned break on busy days. There are a couple of rides in the World Showcase as well. Gran Fiesta Tour Starring The Three Caballeros is a delightful boat ride with short waits, and Frozen Ever After brings guests face-to-face with Olaf, Elsa, Anna and the rest of the Frozen characters and songs. Still, the Disney World park unexpectedly has a plentiful amount of thrill rides. Test Track is an exciting, high-speed race that little kids will be able to enjoy, while Mission: SPACE mimics a NASA shuttle launch to Mars with two different experiences. The Green Mission is a less intense trip, but the Orange Mission is best for adventurous types. In the next few years, a "Guardians of the Galaxy"-themed indoor roller coaster and a Ratatouille ride will also open at Epcot Center. The Seas with Nemo & Friends is an ideal destination for younger children, as the entire Epcot pavilion is themed to the Finding Nemo franchise. Start with the slow-moving ride, which emerges into SeaBase, an enormous aquarium home to turtles, sharks, stingrays, and other aquatic life. While there, be sure to visit Turtle Talk with Crush, an interactive experience where children can converse with characters from the movie. Meet Mickey and Minnie Mouse, Joy and Sadness of "Inside Out," and Baymax from "Big Hero 6" within Future World. Character meet-and-greets can be found across Epcot countries as well, with Frozen princesses Anna and Elsa meeting at the Royal Sommerhus in Norway, and princesses like Snow White, Jasmine, and Mulan meeting in Germany, Morocco, and China. Plan to spend at least half a day exploring Epcot’s World Showcase, visiting countries like Mexico, Japan, Italy, and France within the Disney World park. There is plenty of shopping, entertainment, and dining, as well as art galleries and live music. Epcot has a lively and moving fireworks show, "IllumiNations: Reflections of Earth," which will end in fall 2019. A new nighttime show, Epcot Forever, will begin in fall 2019 before a permanent replacement opens in 2020. Still, the true highlight of evenings here are the wide array of dining and drinking options. We highly recommend having at least one dinner in this Walt Disney World park, and taking in the Epcot countries once the sun sets. Epcot countries are by far the best place to dine within this exciting theme park. Via Napoli Ristorante e Pizzeria remains a favorite with Epcot guests of all ages; the pizzas, which are cooked in wood-burning ovens, are delicious. Kids will love Epcot’s San Angel Inn Restaurante — which feels completely transportative, despite being indoors — and Teppan Edo, where food is cooked in front of them Teppan-yaki style. Many of these locations take Disney Dining Plan as well. For an elegant night out, Tutto Italia Ristorante, Le Cellier Steakhouse, and Monsieur Paul are ideal choices, and the waterfront views of Spice Road Table can’t be beat. Reservations open 180 days in advance, so book early. If you are unable to or prefer flexibility, most Epcot countries offer quick-service dining for grab-and-go entrees; often, a meal can be made simply of snacking at multiple locations. Epcot has two character dining options: Garden Grill Restaurant with Mickey Mouse and characters and Akershus Royal Banquet Hall with Disney princesses. In late 2019, an innovative outer space-themed restaurant will open in Future World. Beer, wine, and alcohol are for sale throughout this Disney park, but the best place to enjoy a cocktail or glass of Chardonnay will be within Epcot’s World Showcase. All of the Epcot countries sell regional alcoholic beverages, letting guests try margaritas in Mexico, sake in Japan, and an array of wines in Italy. It’s even become quite popular to "drink around the world," tasting Disney drinks in different locations. Epcot is known for its exciting and increasingly popular year-round festivals, all of which are included with admission. From early March through early June, Epcot International Flower & Garden Festival brings character topiaries and the Garden Rocks concert series, and late August through mid-November highlights Epcot International Food & Wine Festival. Both are known for their food festival booths, which bring delightful tasting plates of cuisines from around the world to Epcot countries. Epcot International Festival of the Holidays brings global customs, celebrations, and Candlelight Processional, a live retelling of the story of Christmas with a live orchestra and a celebrity guest, to Walt Disney World each November and December. And, the newest entry, Epcot® International Festival of the Arts, pairs the culinary arts and fine arts together, with performances by Broadway stars in January and February. 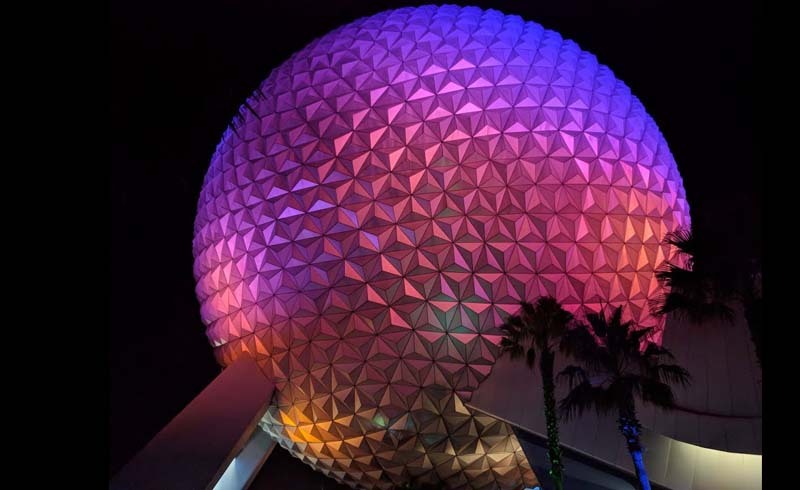 There are plenty of hotels to choose from, but a select few will help you get the most out of those Disney Epcot tickets. If visiting as a couple or planning to visit an Epcot festival more than once, choose a hotel that is walking distance from the park, like Disney’s Beach Club Resort, Disney’s Yacht Club Resort, Walt Disney World Swan Hotel, Walt Disney World Dolphin Hotel, or Disney’s BoardWalk Inn. When the Disney Skyliner Gondola system opens in fall 2019, select hotels will be closer to Disney World parks than ever before. Disney’s Art of Animation Resort, Disney’s Pop Century Resort, the new Disney’s Riviera Resort and Disney’s Caribbean Beach Resort will be a short gondola ride away from the International Gateway entrance of Epcot, making them an ideal choice as well.